Considered by many film critics and scholars as a master of Japanese Cinema, director Ozu Yasujiro still inspires filmmakers both within and outside of Japan. With fifteen never before published chapters in English by contributors from North America, Europe, and Japan, Reorienting Ozu explores the Japanese director's oeuvre and his lasting impact on global art cinema. Exploring major theoretical frameworks that characterize Ozu studies, chapters consider thevarious cultural factors that influenced the director's cinematic output, such as the anxiety of middleclass Japan in the 1930s, the censorship imposed by the US-occupation after World War II, and women's rights in Ozu's late work such as Tokyo Twilight (1957). Ultimately, chapters illuminate Ozu's influenceon the directors of Japan and beyond. 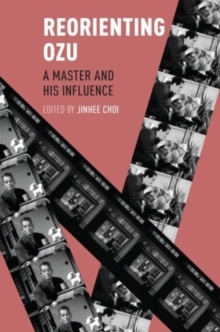 With the recent restoration and re-release of Ozu's early and late films, this volume provides an opportunity to examine not only the auteur's major works but also the relationshipsboth cultural and aestheticthat are forged among directors across the world.